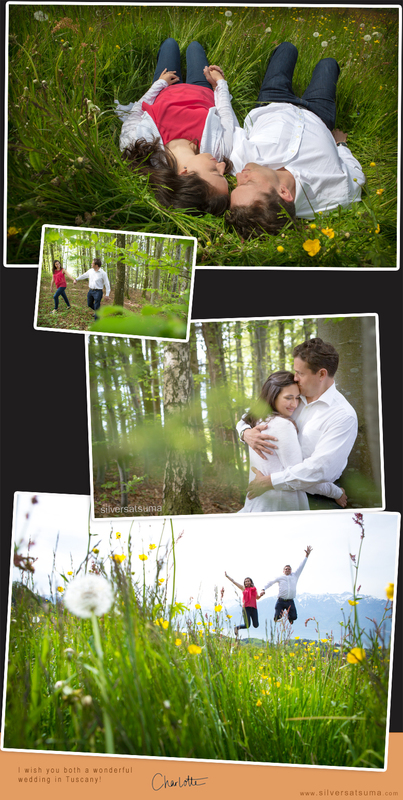 Although Jennifer and Alexander have booked a local photographer for their wedding in Tuscany, they really wanted some engagement photos in Switzerland, and I was delighted that they chose me to do this for them.
" Charlotte thank you! Oh my goodness, these are so wonderful and we love them!! Thanks again for doing such a wonderful job, and giving us such an amazing memory. It was a great day! Wish we could take you to Tuscany with us. I hope our wedding photographer is as great as you! Thank you, thank you! Jennifer and Alexander "
I love happy clients! Have a fantastic wedding you two!